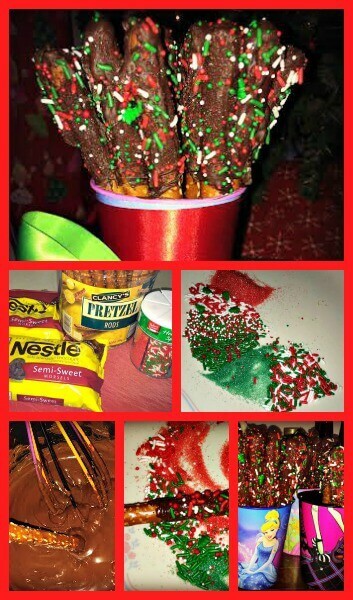 Christmas Painted Pretzels are a fun and easy snack (or homemade gift!) for the holiday season! My little girl and I made these to bring in for her class Christmas Party this week, and the kids loved them! 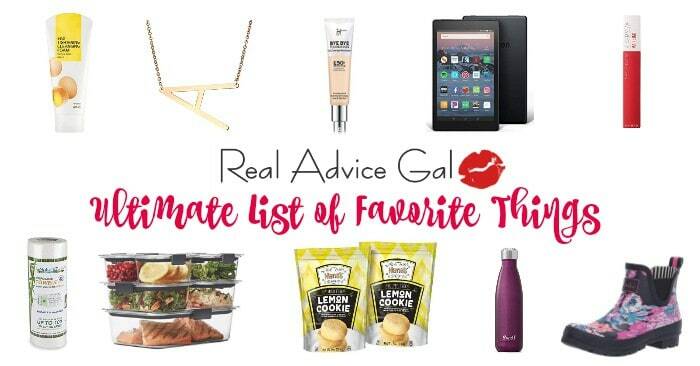 It’s the perfect balance between salty and sweet. 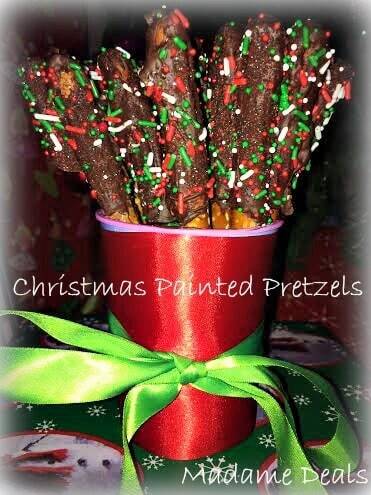 Your kids will love to help because they get to “paint” chocolate onto the pretzel, fun right!? It’s a simple process, and you can change them for each holiday simply by changing the sprinkles! First, melt your chocolate! You can either melt in the microwave, or like I did on the stovetop, make sure to watch it carefully so it doesn’t burn! While your chocolate is melting, pour your sprinkles onto a plate and set aside. When your chocolate is melted, take one of your pretzels and dip one end into the chocolate. It will be thick, so slowly flip it over and “paint” the chocolate about 1/2 way down the pretzel. Once you pretzel is coated with chocolate, pour some of your sprinkles onto your pretzel, make sure you do it over the plate so it doesn’t make a mess! Once your pretzel is sprinkled, set upright in a cup. Continue this process until all your pretzels are “painted” and put them in the fridge for about an hour to harden the chocolate. Display in a pretty cup or bowl for home, or package them in Christmas bags or boxes for gifts!